How to list a pre-owned vehicle on One Stop Classified Kiosk? So, you have come across a One Stop Classified Kiosk at your nearest Shriram branch or Automall which looks like an ATM machine but is actually a huge data bank of pre-owned vehicles and equipment. Yeah! That’s how Shriram Automall addresses it – A One-Touch Destination for Used Vehicles. Now, you want your second-hand vehicle to be a part of that huge data bank. Well, it’s very simple to do that. You just have to follow the steps below to list your pre-owned vehicle in a one stop classified kiosk. Shriram branches and Automalls are spread all over India. In total, there are 50 Automalls of SAMIL at different locations of the country. You just have to visit the nearest one to your home and there you will get a one stop classified kiosk. There are several Shriram executives within the branches and Automalls to help your curiosity. For uploading your inventory in a one stop classified kiosk, get in touch with a Shriram executive and he will guide you further. You need to carry the specific information and images related to your inventory. Once you have listed your second-hand vehicle on a one stop classified kiosk, SAMIL begins with its disposal through physical or online bidding. Negotiated deals can also be conducted for a better price value. With Used Bikes, Your Passion Gets An All-New Speed! Most of you boys spend your childhood along that imaginary road on the dining table with your bike toy where speed is all about how fast you can move your hand. As you grow, you realise it is time to give an actual speed to your passion for bikes. But, you still remain young to pay for that huge cost. So, you decide to buy a used bike! If this is your story, then here’s how you are going to give an all-new speed to your passion. Your search for a second hand bike will pick up pace on the online front. Suddenly, your computer will be loaded with thousands of options in the used bikes and you will be left with a huge data bank of information on every brand. The moment you are ready with your choice, making purchase will take no further time. Buying a pre-owned bike online is quick and easy as well. It’s just a few clicks, you are done. The Bureau of Energy Efficiency has brought transformation in the standards for fuel efficiency within passenger cars. As per the new standards, cars in India are expected to possess an average fuel efficiency of 18.2 km/l after April 2017. This new standard will be applicable to cars across all segments, including hatchbacks, sedans, SUVs, MPVs etc. Why Should I Own a Used Truck from Shriram Automall? It’s the first time you are going to buy a truck in your life. Since, your transport business has just taken birth; you may not have enough funds to afford a new truck. That’s why you go for a pre-owned truck. It may be a pre-owned truck but the expectations will still remain high because your main objective of earning high profit will not change. Top quality, great performance and complete reliability and safety are what you expect even if it’s a second hand truck. Well, this exactly what we promise at Shriram Automall. 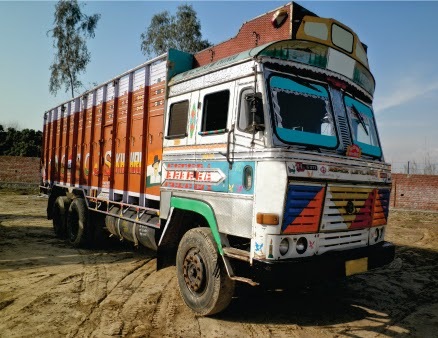 As India’s trusted service provider for pre-owned trucks, we are proud of our contribution in the success of several transport businesses in the country. We open up every fact and figure in front our customers while they deal with us. So, if it’s a used truck, every minute detail is shared in order to help them make a suitable choice. The second-hand truck market is highly unorganised, which is a biggest factor in breaking the trust of people. But, we are highly organised and our bidding platforms are well-structured to facilitate hassle-free transactions. You just have to name the type and we have it for you. Within our used trucks segment, we source a variety of inventory from our sellers for our buyers. So, there is a lot served to you in our bidding events, when it comes to second hand trucks in India. Towards a Simpler Life on Used Car! There was a time in my life when every place was just so far. Even that nearby market with the best collection for my shopping always appeared distant on foot. It was quite a hectic schedule until I bought my first second-hand car. I had just started working in a Company which was two hours away on a public transport. That long exhausting journey actually pushed me towards buying a pre-owned car because money was a little constraint during those days. I had just started with a new job and my search for used cars was restricted only to the internet. Thousands of websites with thousands of options! I was quite amazed to see the variety while just sitting at home. 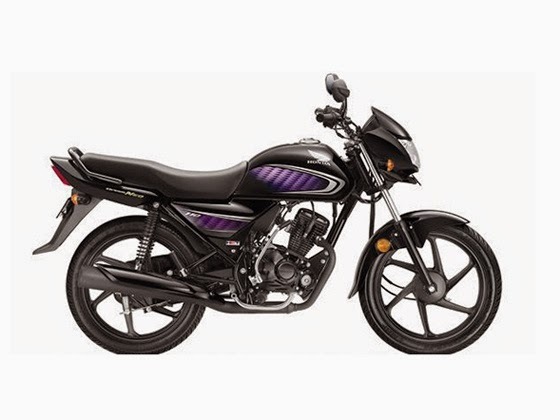 During my search, I landed onto the page of Shriram Automall’s website – bids.samil.in. They had this amazing concept of online used cars bidding. The variety was great and quite aptly suited my choice as well. So, I decided to participate in one of their online bidding events. The online used car bidding experience was just so thrilling. I had chosen my car and the moment bidding started on it, I simply stuck myself on a chair and played the bid game. I had to win it; so I ensured my bid to be the highest. And yes, it made me the winner of my chosen used car. It has been a year that I am the owner of that second hand car. Those long distances have now become shorter and I lead a simpler life with my used car. A huge ground laying heavy commercial machineries all around - numerous workers using them to build a huge bridge; this is probably the visualisation of a construction site. Quite difficult and a little scary, if you are not used to the scene! When second hand commercial machinery becomes a part of this scene, a huge responsibility automatically makes its way on the shoulder of the person who brings it in. The construction sites are more prone to accidents as dangerous activities, like lifting of huge load, are consistently performed there. That hugely overloaded used commercial machinery can result in a big accident. · Start used commercial machinery and check if all the switches or plugs are working properly. Their non-working state can put you in a big trouble. · Look for alarms along with emergency shut off systems. Used commercial machinery which is big in size will always give its driver a panoramic view of the surrounding. It may result in his poor orientation of the space around. An alarm in such a case helps a lot to avoid any accident. 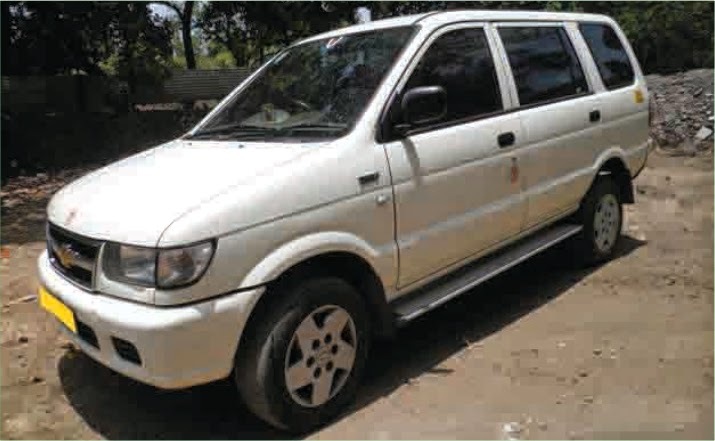 If you wish to own used commercial machinery, we recommend you Shriram Automall India Limited (SAMIL), India’s leading bidding platform for pre-owned vehicles and equipment. The service provider offers a wide variety in pre-owned commercial equipment, such as Backhoe Loader, Excavator, Motor Grader, Tipper/Dumper, Soil Compactor, Tandem Roller, Transit Mixer, Batching Plant, Crane, Dozer, Piling Rig and Hot Mix Plant. I had been living with my wife in South Delhi from last two years. We both are fond of food and travel. Our weekends are usually occupied with exciting ride on our bike. Recently, my parents shifted to our place. We were all very happy but our weekend outings somehow ended because a bike was not that spacious to make space for all four of us. So, I decided to buy a used car. I came to know about Shriram Automall through a friend, who was already associated with the company. The best part was, I could not just own a second hand car from there but could also sell my used bike through them. I found it extremely beneficial and simply visited Shriram Automall Manesar. I was mesmerized to see a huge variety of pre-owned cars parked for disposal. 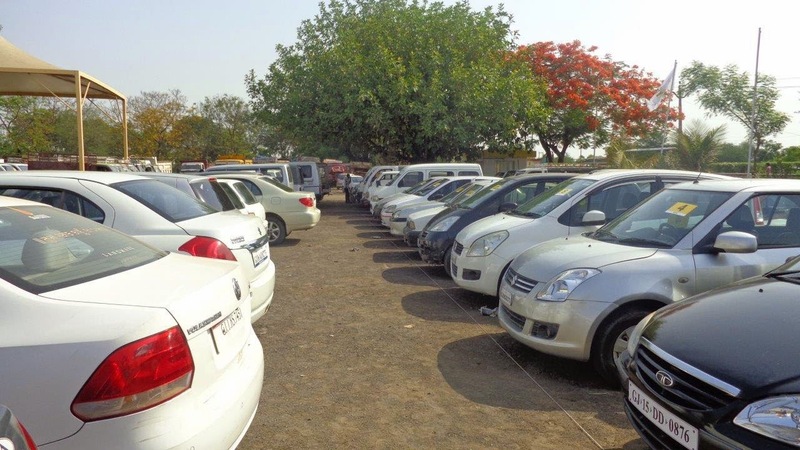 They conduct this exciting bidding event in which different pre-owned vehicles are displayed on the ramp. I inspected all the second-hand cars and chose one for myself. After registration, I stepped into their bidding hall which was so huge and lively with numerous participants. While I looked for a seat, one of their customer service person guided me through my bidder book. The bidding event started and there were not just the used cars on ramp, but second commercial vehicles, two-wheelers, three-wheelers and many more were also displayed. I waited for my chosen pre-owned car and the moment it arrived on ramp, I started bidding. I was supposed to be active as I wanted to be the highest bidder. Let me tell you, it was not that easy to actually grab that pre-owned car because there were several bidders bidding on it. But, eventually my passion won and I got that used car. Well, my first ever experience of owning a pre-owned car from Shriram Automall Manesar was extremely great. I have come to know that they have various Automalls across the country. So, if you wish to own or dispose any used vehicle or equipment, this is a perfect place that suits both your needs. The world is becoming smarter by finding itself a new space within new media. Those long distances are now covered in a few clicks, making our connections even stronger. With so much advantage to its credit, internet has substantially made way for its indelible presence in our lives. Even the basic exchange system of buy & sell has an all new space here with multiple advantages. If we go specifically to used commercial vehicle, selling it through internet is an experience in itself which makes you a smart seller. Let’s check out some benefits of selling a pre-owned commercial vehicle online. While you put your second hand commercial vehicle on sale through internet, you simply enhance its reach to a great extent. It is now in the eyes of several prospective buyers, which eventually results in a higher value of your asset. Promoting the word ‘Used Commercial Vehicle on Sale’ involves on cost on internet. You just have to place some beautiful images of your vehicle along with complete information on different websites in order to fetch more and more buyers. It’s not a long process if you chose the space of World Wide Web to sell you second hand commercial vehicle. In fact, it’s the quickest way of disposing your assets. It cuts down your efforts of visiting the dealers and following up with them again and again. With internet, which can be accessed at anytime from anywhere, your sale hunt simply becomes effortless. If you wish to sell your pre-owned commercial vehicle online, you can visit bids.sami.in – India’s trusted bidding website, catering to a wide variety of used commercial vehicles, cars & SUVs, two-wheelers, construction equipment, tractors, three-wheelers and many more.